RALEIGH – Final votes are expected this week on a $23.9 billion budget adjustment bill that includes several coastal projects, including a dredge dedicated to Oregon Inlet, and a special provision that largely mirrors recently introduced legislation responding to GenX and emerging contaminants. GOP leaders Monday night released the final version of a conference report and started the first round of hearings Tuesday morning. Rather than each chamber passing and then reconciling their own versions of the budget, House and Senate leaders instead negotiated the package ahead of time and then inserted the language into a bill left over from last year’s session. The resulting conference report cannot be amended and requires only an up or down vote for passage. Democrats objected to the use of a conference report, a deviation from a more open committee process with amendments that has been in place for decades. Initial debate was scheduled for 10 a.m. Thursday and a final vote was expected Friday. General Assembly leaders spent the week before the release rolling out chunks of the budget, with the GenX and other special provisions among the last pieces decided. While the GenX provision closely tracks a House and Senate compromise bill introduced earlier this month, there are some differences. A section on the governor’s enforcement authority is spelled out in more detail but remains a major point of disagreement in the provision. 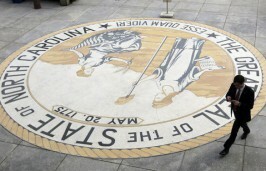 Mary Maclean Asbill, senior attorney at the Southern Environmental Law Center’s Chapel Hill office, said the budget provision still directs the bulk of funding to the University of North Carolina Chapel Hill-based North Carolina Policy Collaboratory instead of the Department of Environmental Quality. The bill sends a little more than $5 million to the collaboratory to identify and coordinate public and private university researchers to conduct non-targeted testing for per- and polyfluoroalkyl substances, or PFAS, including GenX, at an unspecified number of public water systems intakes from surface water and groundwater to develop baseline standards for the compounds and create a system for periodic testing. The collaboratory is also tasked with conducting research on GenX and PFAS private well contamination, air emissions and deposition and setting water sampling standards and mitigation methods. DEQ would receive an additional $1.3 million for PFAS work from unused funds for an algaecide project at Jordan Lake that was rejected by the Army Corps of Engineers. The department would also receive $537,000 for a specific type of high-resolution mass spectrometer. During initial budget presentations on Tuesday, budget writers said the intent was to limit use of the machine to PFAS and GenX. DEQ officials have asked for greater flexibility in using the funds as the technology and types of machines available change. During discussion on the bill Tuesday Rep. Chuck McGrady, R-Henderson, explained that the limitation on the spectrometer represented a compromise during House and Senate negotiations. The thinking, he said, was “not wanting the department to expand into a range of emerging compounds of whatever nature, but target specifically whatever is being regulated,” under the provision. The broader look into emerging contaminants, he said, would be handled by the university researchers. Rep. Pricey Harrison, D-Guilford, cited it as another example of limiting DEQ. 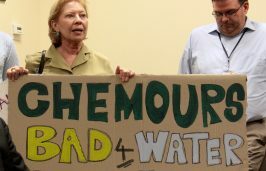 “What we heard in the River Quality Committee is that there are a lot of emerging compounds we’re not familiar with that are in our water and that it makes sense to have the regulatory agency with the authority to oversee our water quality have the tools it needs,” she said. 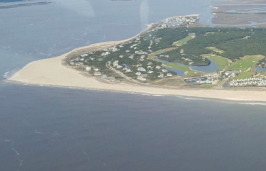 The budget includes $2.5 million for the state to purchase property for addition to the Bird Island Coastal Reserve in Brunswick County. The funds follow a memorandum of agreement signed last fall in which the state agreed to purchase land at the western edge of Sunset Beach that was the subject of a protracted legal battle between a local developer and the town. Under the agreement, the approximately 35-acre parcel is to be kept in its natural state and will be added to the adjacent 1,200-acre reserve. The state’s two main trust funds also received a boost in funding with $4 million in non-recurring funds going to the Parks and Recreation Trust Fund and the Clean Water Management Trust Fund. The additional funds bring the total next year for the CWMTF to $18.3 million and PARTF to $20.2 million. Conservation groups called the additional money significant. Legislators took close to $700,000 that was left in a pool of funds for cultch planting and distributed it to aquaculture-related projects, including re-establishing a northern shellfish lab in Dare County. The budget directs $272,844 for opening a new lab with two technicians in the Manteo-Nags Head-Kitty Hawk region. $125,000 for a shellfish pathologist position at North Carolina State University’s Center for Marine Sciences and Technology in Morehead City. $75,000 for a North Carolina Sea Grant and Carteret Community College aquaculture project in Morehead City. $125,000 for continuation of the state Department of Transportation ferry-based water quality monitoring program known as FerryMon. $100,000 for the North Carolina Coastal Federation’s crab pot cleanup program. The budget sets aside $15 million from the Shallow Draft Navigation Channel Dredging and Aquatic Weed Fund as the state’s part of a new public-private partnership to acquire a $30 million hopper dredge dedicated to keeping Oregon Inlet clear. A private company would eventually own the dredge, after paying back the state through discounted dredging costs. The dredge would also be used as needed along other parts of the coast but under the agreement would only be allowed to operate in North Carolina waters. The funding, however, is directed to a grant for Winston-Salem-based Resource Institute Inc., a nonprofit organization that specializes in coordinating stream restoration, dam removal and other water quality projects. The funds are to be used for an unspecified “locally-sponsored project,” according to the provision. 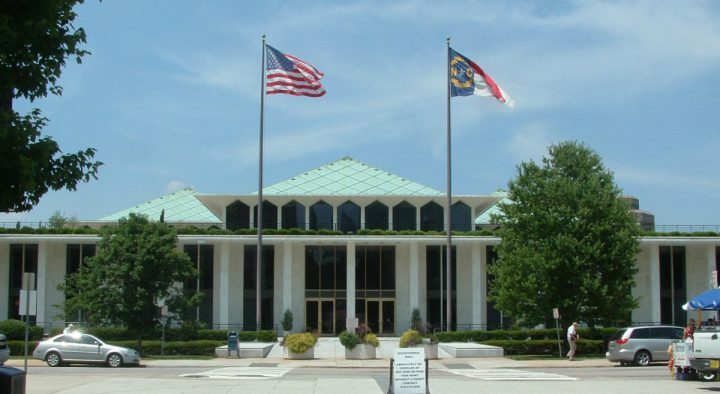 In committee discussions on Tuesday, Sen. Harry Brown, R-Onslow, said the group had been successful with stream restoration work in western North Carolina and legislators wanted to give them an opportunity to work in the eastern part of the state. The only coastal projects mentioned on the organization’s website were in a 2017 story on artificial reefs at the Brunswick Town/Fort Anderson State Historic Site in Brunswick County and the Bonner Bridge in Dare County. The organization was working to find additional public funding for similar projects, according to its website.